Looking for a way to waste 20 minutes of your day? And, yes, this is not a trick question or sort of riddle. 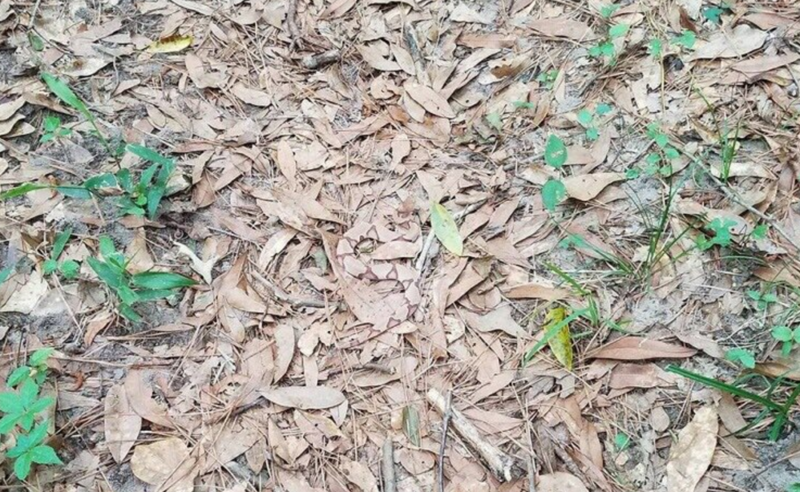 There’s actually a snake hiding somewhere in those leaves. Sure, it’s all good fun, but it’s a little unsettling to think that a venomous predator could be hiding in plain sight in real life, waiting to pounce at any moment. If you get too frustrated trying to find it for yourself, Helen was kind enough to highlight it for anyone who gives up.